Plant a bean and watch it sprout and wind its way through the maze. 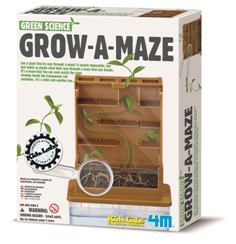 Kit includes adjustable maze with planter, magnifier and instructions. Requires dried beans and soil.